Good afternoon. And thank you for allowing me to be a part of this special service. My name is Jason Bowker and I’m the pastor at First Baptist Church…just a block from where you’re currently sitting. I had a little ambivalence when Kathy asked me to speak about diversity… since I’m a WHITE, MIDDLE-CLASS MAN…but I’m excited to share a few thoughts with you. 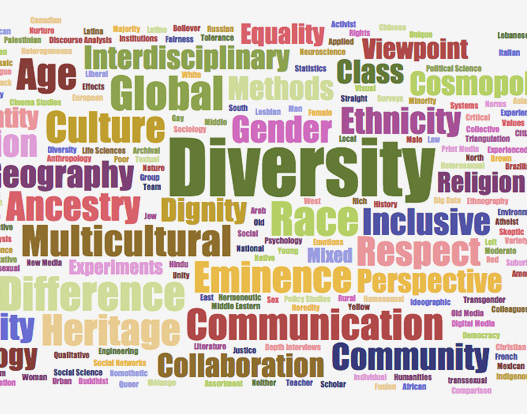 This afternoon, I want to talk about diversity as WITNESS. You see, our faith lives are meant to be public; on display; for all to see; a witness and testimony. We’re meant to live our faith outside the walls of our sacred buildings. We’re meant to be on mission out in our neighborhoods, community, and world; testifying to the good news of a good God; working toward the flourishing of our place and an abundant life for all we encounter there. I fervently believe that we have good news that our world desperately needs to hear—that a good God loves them dearly. So, we have the task of sharing this news. Our faith is to be witnessed. But it’s not always easy to share this great message…largely because the world is an incredibly diverse place—even here in Bozeman. It’s not easy to engage well with our neighbor—it takes work; it takes intentionality; it takes commitment. Which means it often doesn’t happen…because it’s just easier to disengage. But that’s why diversity in our churches is so important. We often aren’t good at engaging with difference…simply because we haven’t had the opportunity to practice. It’s too hard to encounter the other in a real, significant way…so, instead, we choose to place ourselves in safe, comfortable echo chambers…or at least I too often do. That’s why diversity in our faith communities is a necessity and a blessing as a witness to a better way of engaging with one another. I’ll say that again… diversity in our faith communities is a necessity and a blessing as a witness to a better way of engaging with one another. When we gather for worship, community, and service in our diverse churches…this is an opportunity to learn, grow, and practice cultural and community engagement. The church…at its best…is a laboratory for loving the other…a chance to hone our skills of blessing, peace, forgiveness, and listening. It’s challenging to do these things out in the world, so when we gather we get to practice in a safe, loving environment. When we’re a part of a diverse congregation, each gathering is a place to practice radical hospitality and continue to work with God in restoring and redeeming all things. And finally, I believe that faith communities—both internally and one to another—should be leading the way in demonstrating to the world a better way forward in engaging with difference. So…when we are in communities of diversity…and we choose to gather in worship and community…despite our vast differences…and we engage with one another in peaceful and hospitable ways…and still love, support, and pray for one another this incredible way of living BOLDLY and BEAUTIFULLY declares to the world that a different way of living is possible. We become an amazing testimony to the world about how to engage difference with civility and love. 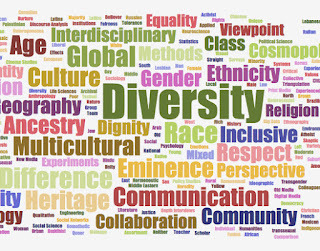 Diversity becomes a witness. So, may we be people who surround ourselves with diversity. May we listen, learn, and really engage. And may this embrace of diversity become a beautiful witness to the world of a better way forward.